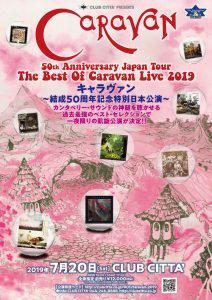 After leaving Mirage and firmly re-establishing Caravan on the touring scene Dave and Pye re-worked the Caravan Medley in order to suit the band with Doug Boyle and Geoffrey Richardson back to add their own special touch. 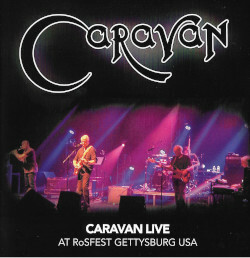 The band performed the Caravan Medley on many occasions during the 2000 2001 and 2002 tours with a climatic rendition at the NEARfest Rock Festival in Trenton New Jersey USA 2002. This version recorded live at the Stables Theatre in Milton Keynes on the night of November 16th 2001 saw the replacement of Matching Mole favourite O’ Caroline with ‘Better By Far’ and a rare extended version of ‘The Mad Dabsong’ from Cunning Stunts Sinclair/Murphy triumph – The Dabsong Conshirtoe. c. Where But For Caravan Would I? Beautiful and exciting … a real feast for the ears and soul!